Evergreen dense glossy lanceolate leaves. 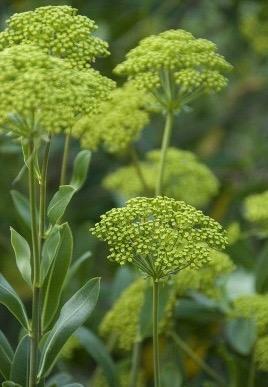 Umbels of lime green flowers, July to September. Sun and good drainage. 2m tall. Hardy to -15 c. Avoid cold winds. If caught by late frosts, clip away to encourage new growth.